Good bye, you British judges dressed in ancient-looking outfits. Thanks, for all the help with the cases and the other stuff including the death penalty option that you killed. Sir Byron and de other pardners over there in Trinidad, we ready now. At last Dominica has made positive moves to leave the British Privy Council and join the Caribbean Court of Justice in its appellate jurisdiction. Prime Minister Roosevelt Skerrit announced on Tuesday that he had written to the United Kingdom government informing it officially of its intention to cut ties with the London-based Privy Council. 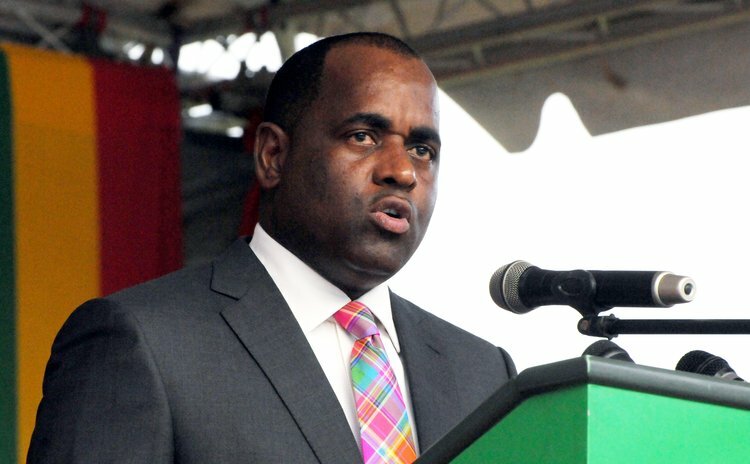 "We have in fact written to the Foreign secretary if the British government indicating the Dominica government's decision to end our relationship with the Privy Council and to establish our relationship with the Caribbean Court of Justice in the appellate jurisdiction," Prime Minister Roosevelt Skerrit told reporters. The CCJ was established in 2001 as the region's highest court replacing the Privy Council. It has both an original and appellate jurisdiction, but while many Caribbean countries are signatories to the original jurisdiction, only Barbados, Guyana and Belize have signed on to the appellate jurisdiction. In addition, the CCJ serves as an international tribunal interpreting the Revised Treaty of Chaguaramas that governs the 15-member Caribbean Community (CARICOM). PM Skerrit said Dominica's High Commissioner in London, Francine Baron, had already held talks with the Privy Council seeking to work out the administrative matters with respect to their final decision on their part. "The Foreign Secretary has written back to me indicating that they are working on administrative issues with the Privy Council to ensure that any matter now before the Privy Council that we will put in place administrative arrangements to ensure that they can continue to be heard. "So once that is done the Foreign Secretary will write back to us indicating the approval of the British government, at least the concurrence of the British government to approve of us going because that is an independent decision," Skerrit said.